The EUR/USD currency pair was moving inside a narrow trading range during the whole day yesterday. Today the price is expected to break this consolidation channel upwards, reach the level of 1.2850, and then fall down towards the target at 1.2755. This may be the end of this wave. Later we can expect a more serious correction towards the level of 1.2900. 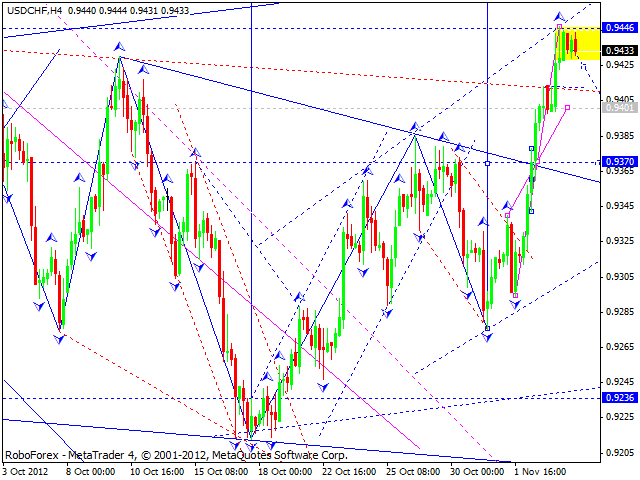 The GBP/USD currency pair is trying to form a continuation pattern in a downwards direction. 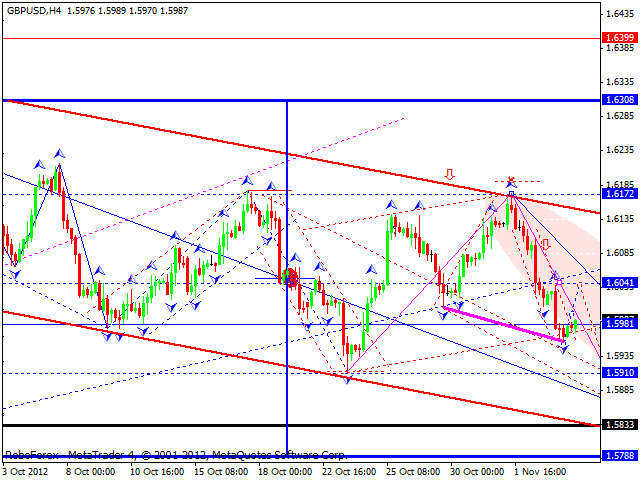 Today the price is expected to break hourly channel upwards and return to the level of 1.6040. Later the pair may continue falling down towards the target at 1.5910. 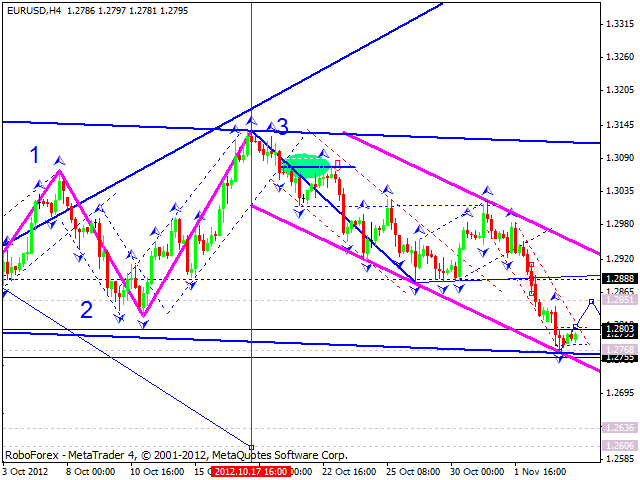 The USD/CHF currency pair reached the target of the wave. The price was moving inside a narrow trading range during the whole day yesterday, but couldn’t start a corrective movement. Today the pair is expected to break the consolidation channel downwards, reach the level of 0.9400, and then continue growing up towards the target at 0.9460. Only after that we can expect the price to start a more serious corrective movement towards the level of 0.9370. The USD/JPY currency pair slowly continues a corrective movement towards the level of 80. Later the price expected to continue growing and reach the level of 81. 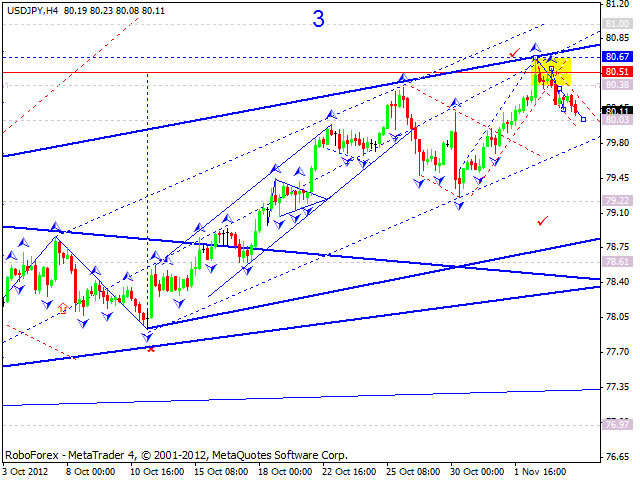 After that the pair may start a more serious correction towards the target at 79.22. Australian Dollar is starting to form an ascending wave. 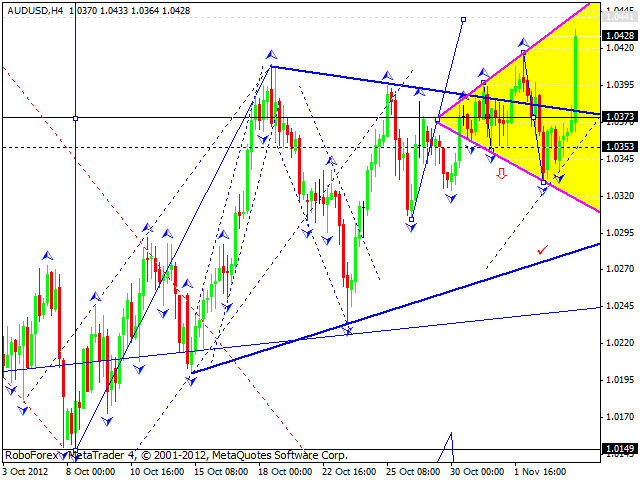 The target of “divergent triangle” pattern for today is the level of 1.0444. Later we can expect the price to start a correction towards the level of 1.0375 and then to continue moving upwards to the target at 1.0510. Gold is starting to form “divergent triangle” pattern. Today the instrument is expected to grow up towards the target at 1688 first and then move downwards to the level of 1670. 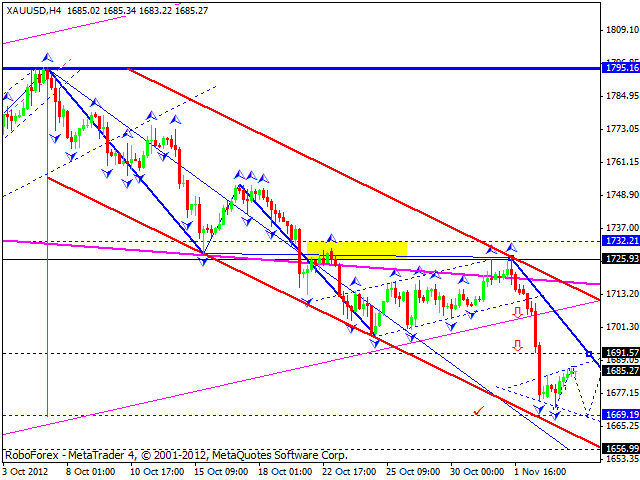 Later The price may reach the target at 1690 and fall down towards the level of 1657.